To enter the contest post a comment on this blog, the lucky winner will be selected randomly trough random.org and announced on April 30, 2012. Addison needs a new tag! Hope she wins one! So gorgeous, I need a few of these! I've gotta get an order in. We love the new flip flop tags! Absolutely adorable! My new Sphynx kittens could use a tag!! That would be great!!! Aw, I <3 the sandal tag! It is so cute! :) Thanks for having another giveaway! The Pink Penguin is super adorable. Thank for the giveaway. I love these tags, they are all so very super-cute! LOVE my dog's red bone ID tag. Would love another for my other dog. OMG! If I win one...I will then have to buy 4 more!!! I have 2 dogs, 1 cat and 2 Grandpuppies!!!!! So....I hope I win!!!!! Ruby could use a new tag. These are cute! Soo cute & perfect for Texas weather! The strawberry tag is so cute. The last time our cat had to overnight at the vet (so sad!) they lost her collar and tag, so she needs a new one! These are sooo adorable!! LOVE them! Thanks for the giveaway! I would love to have one for my dog Ashna!! Christina - xristya@rock.com - Lovely tags! My sweet and intelligent Husky German Shepherd mix Birdie would love them! Ohhh my gosh! Too cute! I know a little girl who's pup would definately wear these. They would both adore them. Soo adorable. These are so cute tags. I want that pink one for my girl puppy. She loves having accessories, and I would love to pamper her always. Thanks for the chance, haha. LOVE the tags!! They are so cute!! Gizmo would LOVE another Happy Tag!! The new Angry Birds tags are hilarious! My stepson rescues cats. He just found a home for one of his feral, yes feral cats named Bailey. 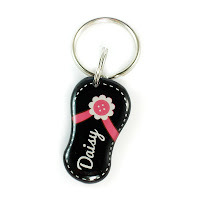 I would love for him to win a flipflop tag to give to Bailey's new mom. My dog would LOVE to get one of your tags! They're amazing! Odessa is always a happy pet wearing her Happy Tag! Happy tags for the win! 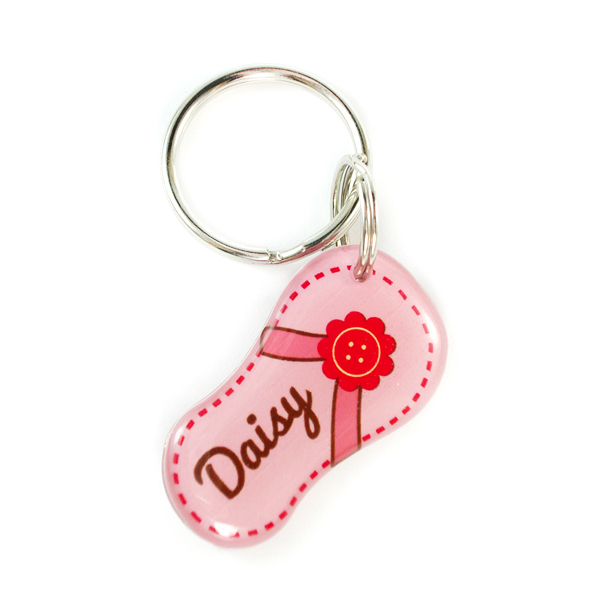 the flip flops tags are so cute for summer. i love happy tags & so do my 4 puppies! My pup would love to win a Happy Tag! 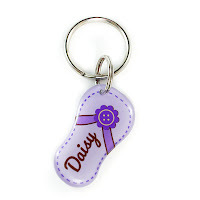 would love to win of these flip flop tags for my yorkie mix puppy, Indie! shes a total California dog who loves the beach! this would be perfect for her! Would love a cupcake tag for my pooch! I love your tags! And I have the best dog ever! Thanks for the chance to win! Just received my first tag and it was absolutely gorgeous! Can't get any better than this! Would love to win a flip flop tag for my Ginger. The Blue Leopard Print Dog Pet ID Tag Dog Bone Shape Designer would look great with Penny's electric blue polka-dot collar and harness. We love Happy Tags! My baby boy would look soooo handsome in these gorgeous tags! I dont want one....I NEED one!!!!! I just LOVE all your items! The tags are super cute! Max is in need of a new tag!! I recently went to register my newest little rescue Heidi Marie with the city. I just handed the lady her collar with all of her Happy Tags on it for some of the info they needed as this was easier than shouting back and forth between the wall of glass and the barking on my side of the glass. This lady proceeded to show all of the other ladies behind the glass all of Heidi's cute tags and saying that they had never seen anything like these before. I put in a plug for Happy Tags and they were thrilled to learn about it. We love our Happy Tags. Thanks again! My puppy needs a tag! My male French Mastiff loves his blue bone I got him from Happy Tags and his girlfriend says she thinks it isn't fair that he has on and she doesn't, so I would love to win one for my female French Mastiff! Hope we win, Thanks so much!! john1634@msu.edu - gotta go green, MSU! Green, green, green! 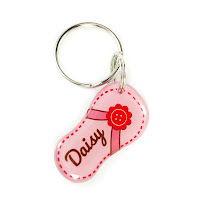 I will use my tag on my keychain so that if I lose my keys (have done so before on dog walks), the finder can call the number (my father-in-law's for safety purposes), and I'll get my keys back. I'm looking forward to replacing my current tag with the attractive colorful one that I ordered. I absolutely LOVE your tags. Our dog proudly wears his and we are hoping to win one for our cat! These are so adorable tags. I have kittens in my home right now I want to give them all. It will help because I can’t recognize them easily. I prefer that they will have different colors. Where can I buy these aside from this giveaway promo?